Graphic Traffic – Presented by Queen City Bookstore Inc.
Fun fact: I read Rebels the same week as my AP exam in U.S. History, so I was looking for historical errors. I found none, unless you count the fictional aspects added to make things more interesting. 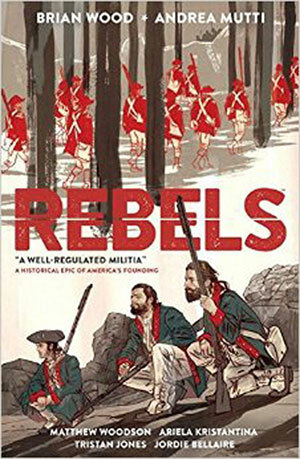 Rebels begins with Seth Abbott and his adventures after joining the Green Mountain Boys as the American Revolution begins, along with all the despair that comes with it. We see Seth’s personal insights on the war, along with the contrasting opinions of his wife, Mercy. 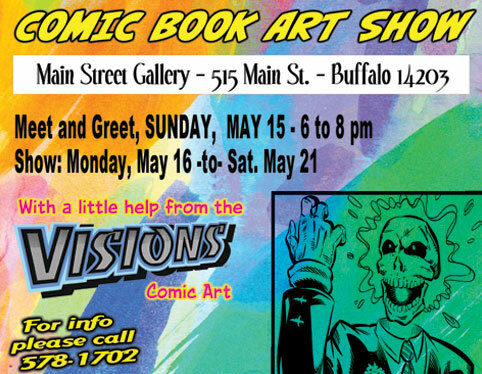 However, this graphic novel isn’t just about American pride. If anything, it calls into question the reader’s definition of patriotism, whatever that individual opinion may be. While Seth is a recurring character, other characters appear, showing the impact of not just the Revolutionary War, but even that of the Seven Years War on certain groups: Patriots, Loyalists, women, African Americans (whether enslaved or free), and Native Americans. Rebels reminds us that the Revolutionary War didn’t just impact soldiers of the era, but all who lived in the colonies at the time. The darker feel to Rebels works well with the realistic, sketch-like design of the characters, akin to Vertigo’s Fables, with coloring going back and forth between bright and colorful, bleak and monochrome. The best—or worst, depending on who you are—part of these stories is the fact that there are no heroes, but there aren’t any villains, either. These are people fighting for their cause, or choosing not to fight at all. Their battles are not for life or liberty. Instead, they fight in the pursuit of happiness, as these people want their own opinions to be known, and respected. 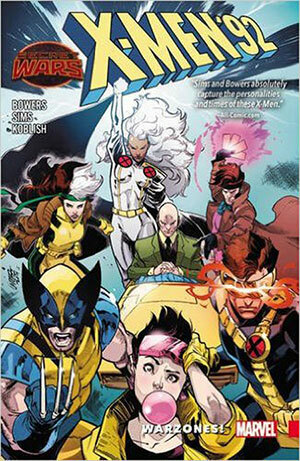 X-MEN ’92, VOL. 0: WARZONES!